We present the most interesting projects in the TRADE CENTERS category. 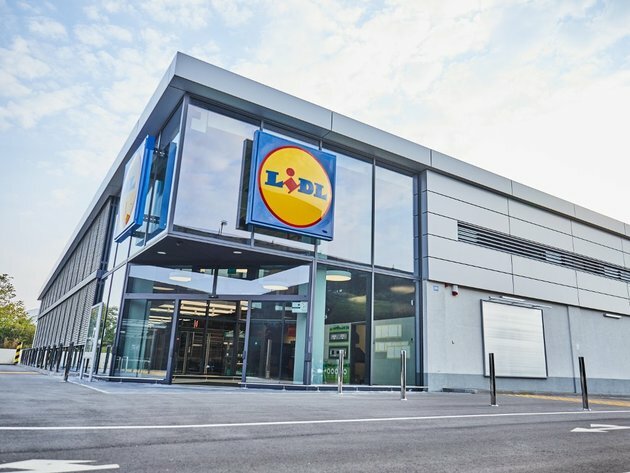 Germany’s Lidl was in the focus of attention almost throughout the year, as it finally arrived to the Serbian market after much expectation and uncertainty regarding the exact dates – first by opening a logistics center and then the first stores as well. Large crowds made the opening very memorable. The trend of the opening of new trade centers continued. The biggest shopping center in Serbia, Promenada Novi Sad, opened, but possibly the most talked about investments in 2018 were investments in new retail parks. This kind of a facility became a very popular format for traders, and thanks to its flexibility when it comes to the size and the value of the investment, it is increasingly present in smaller towns. New brands were thereby made available throughout Serbia, from Uzice to Zajecar and from Sombor to Leskovac. This year’s list also features names familiar to eKapija’s readers, such as IKEA, Poseidon Group, Immofinanz, MPC, but also new investors, such as Bermilton Properties, or the Dutch Spar. Numerous new projects, as well as the completion and the expansion of certain existing facilities and complexes have been announced for 2019, so it is to be expected for the amount of retail space and the number of new retailers to increase. It remains to be seen how the market and the consumers will react, that is, whether the demand will match the supply. Let’s take a look at the most read articles in 2018. Germany’s Lidl has kept the top spot on the list. The company fulfilled its promise and opened 16 stores in 12 towns of Serbia in a single day, October 11. It immediately became apparent how eagerly consumers had expected the opening of these stores, as they showed up in great numbers, with the interest in various discounts exceeding even the most optimistic projections. In the “first round”, the investment was worth EUR 205 million, which is the investment in the purchase of land and the construction of facilities. A total of 1,500 workers were employed, and 350 of the 1,500 products available at Lidl stores were made in Serbia. After the initial wave of euphoria, Lidl opened another seven discount stores in two bouts in November. Before all this, the company opened its logistics center in Nova Pazova, worth EUR 55 million, in mid-June. The second spot on the list belongs to Promenada Novi Sad, the biggest shopping center in Serbia. After several announcements of the beginning of the construction in 2017, this shopping center with over 160 brands on 48,000 sqm and 1,500 parking spaces, opened on November 15. The investment of NEPI Rockcastle, one of the leading real estate companies in Central and Eastern Europe, is worth over EUR 128 million. 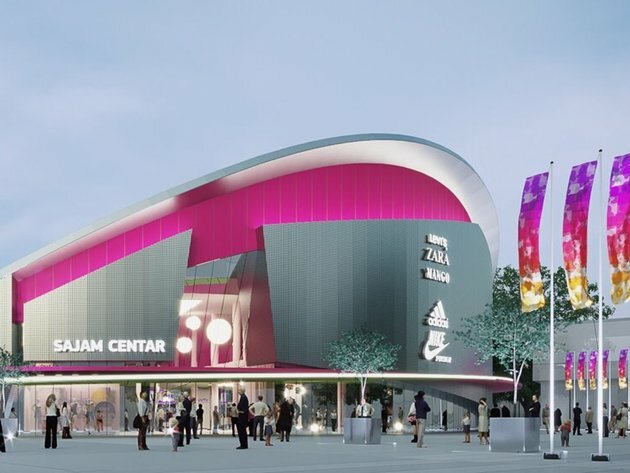 As the manager of this shopping center pointed out in his interview with eKapija, what makes Promenada stand out is the unique design, as it is designed to let in large amounts of natural light, whereas the plaza in front of the center features three basketball courts. Promenada also includes two spacious balconies, one of which provides a view to the Petrovaradin Fortress. The investors are very satisfied with the initial results, and Promenada was visited by close to 130,000 people in the first four days alone. The next three spots belong to retail parks. In the third spot is the British Poseidon Group, up one spot from 2017. In October 2018, this company celebrated the first year of the operations of the Capitol Park Rakovica retail park by expanding the complex, that is, by opening a new section of 2,300 sqm, while presenting five new brands. The first year of the operation of Capitol Park Sombor was also marked, and the opening of retail parks in Leskovac and Zajecar was announced for the spring of 2019. Capitol Park Zajecar should be Poseidon Group’s fifth facility in Serbia, and the investment has been estimated at EUR 10 million. The company said that the aim was for the Capitol Park network to feature a total of ten retail parks in Serbia before the end of 2020. The fourth spot on this year’s list belongs to Stop Shop retail parks of the Austrian investor Immofinanz Group, which placed in the top three in 2017. The fifth and the sixth Stop Shop opened in April in Pozarevac, worth EUR 10 million, and Vrsac, and the works in Sremska Mitrovica are in progress as well. In mid-November, Immofinanz continued expanding its network by purchasing retail parks in Subotica, Borca and Smederevo, and this acquisition in Serbia includes nearly 32,500 square meters of lease space. 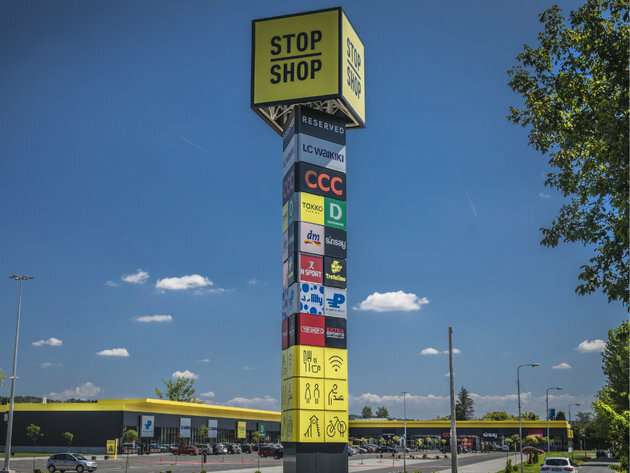 The Stop Shop brand will thereby be present in nine locations in Serbia with 83,600 sqm of lease space. Along with the investment in Serbia, Immofinanz also bought new retail parks in Slovenia and Croatia (five), and the total price amounted to around EUR 90.5 million. The fifth spot belongs to Bermilton Properties d.o.o. from Belgrade, which started the process of obtaining a building permit for the construction of its project in Gornji Milanovac. The Shop Park name will become synonymous with retail park development, and the plan is for it to open for consumers in May 2019. The planned Shop Park will take up a gross area of around 7,000 sqm and have more than 200 parking spaces, and a minimum of 28 outlets are planned at this stage. The investors also announce two lesees/retailers from Turkey in the fashion category, which would start penetrating the Serbian retail market this way. In the spring of 2020, Belgrade will get another modern shopping center, on the corner of Vojislava Ilica and Mis Irbijeva streets in Zvezdara. This investment of MPC Properties and Atterbury Europe took the sixth spot on our list, and the realization of this big joint project began on October 18 with the ceremony of the laying down of the foundation stone. The new facility will have 130,000 sqm in total and 43,000 sqm of retail space, and the investment is worth EUR 110 million. In addition to its location, the shopping center will be recognizable for its innovative concept which matches the latest global trends in retail, with more outdoor areas and lots of natural light and greenery, all to the end of providing consumers with the best shopping and relaxation experience. The facility’s modern design is the work of the international architectural studio Chapman Taylor, based in Dusseldorf. The seventh place belongs to IKEA, which took the fifth spot a year before by opening the department store in Bubanj Potok. By March 2018, the department store was visited by one million and two hundred thousand people, and IKEA announced the beginning of the construction of the Belgrade Trade Center (retail park) right next to its department store on several occasion. Let us remind that announcements of this project were made in 2017 as well. The investment is estimated at EUR 50 million, and the construction should start in the spring of 2019, whereas the completion is expected in 2020. A new name on this year’s list is the Dutch store chain Spar, which could arrive to Serbia through the purchase of Mercator S facilities in the country according to some media. This potential investment placed eight on our list, and according to Spar’s director for expansion and development, the company does have plans for Serbia, but not the precise deadline for the realization. It currently focuses on stabilizing its position in the Croatian market, after which it would turn its attention to the Serbian market. The ninth spot belongs to RC Europe RSB, which has continued investing in Serbia since the opening of Nest Retail Park in Kraljevo in December 2017. As they have confirmed for our portal, the plan is to build facilities in Uzice, Obrenovac, Vrsac and Ruma. Uzice should get its new shopping center, with 6,600 sqm, in April 2019, and the total value of the investment is EUR 6 million. The building permit for this project was obtained in July 2018. 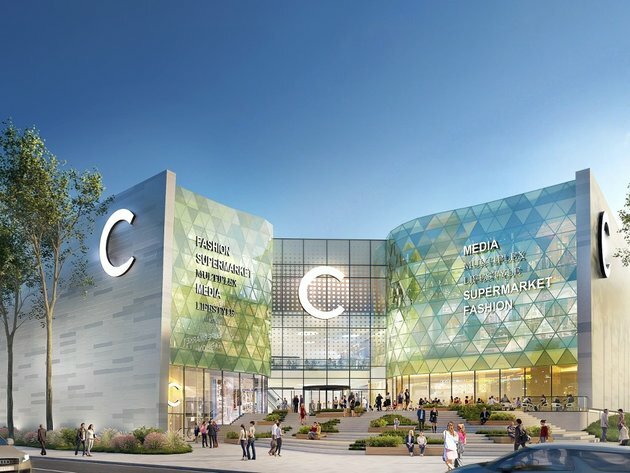 The opening of the shopping center in Obrenovac, with 10,000 sqm, is also expected this year, whereas the construction in Vrsac should begin in 2020, with 3,000 sqm to be built in the first phase. The planned construction of a shopping center and residential-office complex in the Sajkaca location in Leskovac also placed within the Top 10. Metla Komerc, which bought the Leskovac Fair last year, announced its reconstruction and the construction of a modern complex worth EUR 6 million, with around 20,000 sqm. Leskovac should get the modern trade center in the location of the Round Pavilion, next to which a modern residential-office complex would be located, by the end of 2019. Further on our list is the recently opened Emmezeta center in Nis (11th spot), Lesnina, which has announced the construction of a new department store in Novi Sad (12th spot), the shopping center and the luxury complex to be built by former basketball player Nikola Pekovic on Zlatibor (13th spot) and the announced expansion of the Kragujevac Plaza shopping center by 10,000 sqm (14th spot). Take a look at our list of investments in the TRADE CENTERS category and compare it to your opinions, expectations and estimates.